Although I love Microsoft Word, sometimes I need something without all the bells and whistles, so that I can really focus on putting down words. Not too long ago, I found out about a program called Rye WP that promised to help me do just that. Rye WP is a minimalist text editor in the style of ZenWriter, which I reviewed on the blog not too long ago. 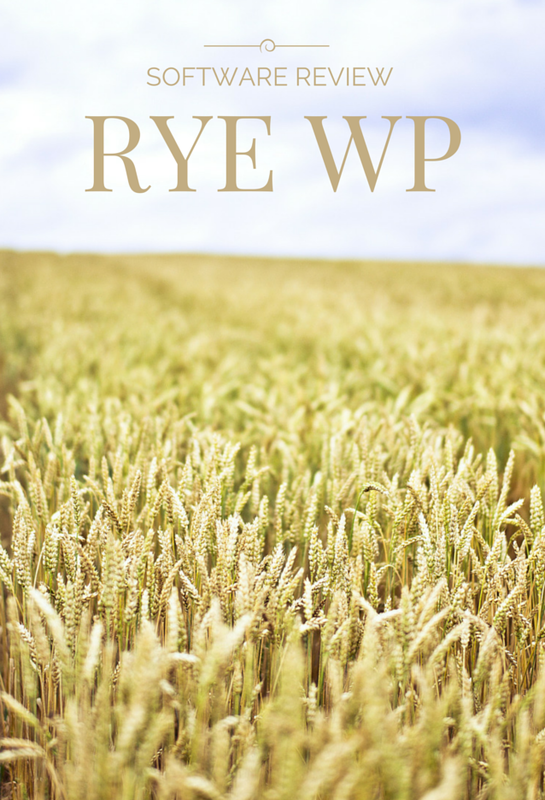 Recently, I received a free copy of Rye WP in exchange for an honest review. Here’s what I thought. Like ZenWriter, Rye WP lets you write in full-screen to minimize distractions. It also has a series of backgrounds that you can choose from to customize your writing experience. Moreover, there’s a nifty word count feature at the bottom to help you track your progress. However, that’s where the similarities end. Unlike Zen Writer, Rye WP is silent. In ZenWriter, background noise and typewriter sounds are enabled by default. While I usually don’t mind a little noise when I’m working, sometimes the clicking and “zen” music are too much for me. With Rye WP, there’s none of that. The focus is on writing, plain and simple. Rye WP also features a handy autosave function that refreshes every 30 seconds. As someone who’s paranoid about losing work, I’ve thanked God for autosave more times than I can count. The only thing I didn’t love about Rye WP is the spellcheck function. While I can appreciate its usefulness when composing something more formal, such as an essay or letter, I find it distracting for first drafting a chapter or a blog post. Overall, Rye WP is a great word processor, and I’m happy to have had the opportunity to try it. If you’re looking for a full-screen text editor that puts the focus on productivity, give Rye WP a try and let me know what you think. For more information, visit the product’s website. Rye WP is available for both Mac and PC. What do you think of Rye WP? How do you feel about alternative text editors?